A new report named the downtown stretch of I-35 among its top 10 "Freeways with No Futures," a designation unlikely to surprise many Austinites. Despite its ominous name (it seems "Highway to Hell" was taken), the report from nonprofit Congress for the New Urbanism actually outlines the ways in which the jam-packed freeway could be redesigned to improve quality of life for locals. Each year, the CNU picks 10 major roadways across the U.S. and reimagines what their respective cities would look like if they were removed or repurposed. It's important to note that the congress, which is comprised of "2,600 members [including] diverse global thought leaders on design, development, policy, implementation, and activism," advocates against sprawling development and towards the investment of walkable urban centers. 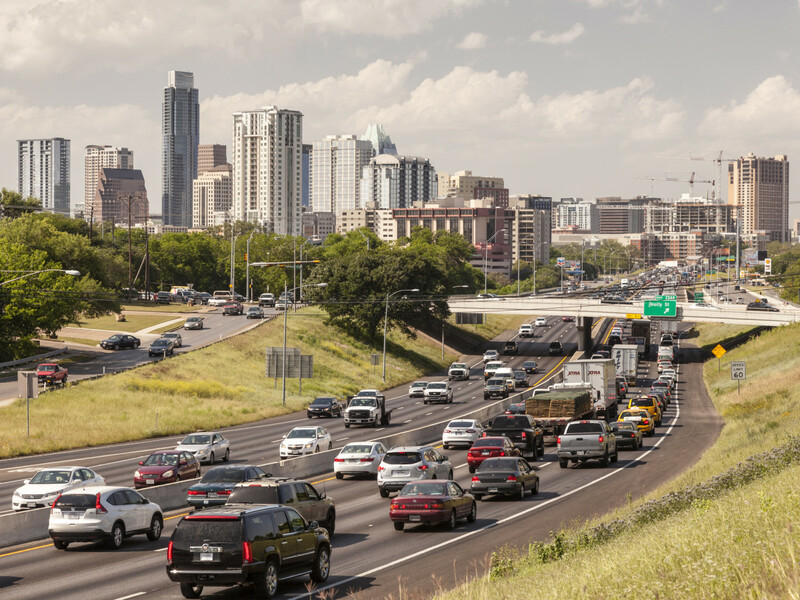 According to the report, the stretch of I-35 between Cesar Chavez Street and Martin Luther King, Jr. Boulevard carries more than 200,000 cars a day, and yet greatly inhibits travel between East Austin and downtown and West Austin. As CNU notes, this divide was by design, the result of Austin's long-held segregation laws that forced people of color to live on the east side, leaving downtown and West Austin to their white neighbors. The use of highways to segregate cities, says CNU, can be seen across the U.S., including I-345 in Dallas, whose construction in 1973 separated the then-predominantly African American neighborhood of Deep Ellum from the rest of the city, and the Claiborne Expressway in New Orleans, which was built straight through the city's historically black Treme neighborhood in 1966-68. While the congress actually advocates for the removal of the highways in those two cities, in Austin, however, simply cutting off one of the nation's major interstates isn't feasible. Instead, the nonprofit points to the work of Reconnect Austin, a local grassroots organization that has long advocated for burying I-35 and creating a pedestrian-friendly boulevard and green space on top of it. Aside from looking better, the report notes that capping the highway could also lead to millions in annual tax revenue. 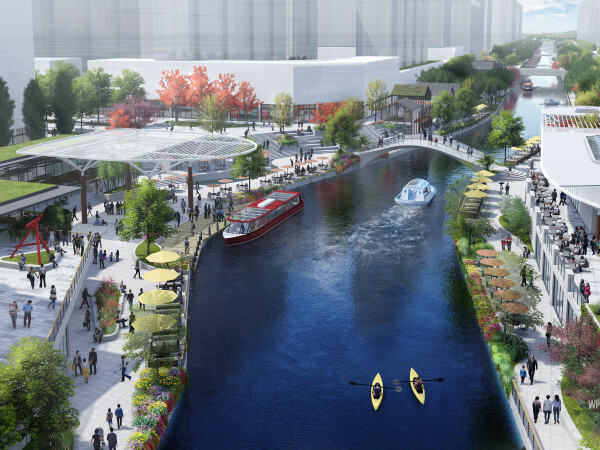 "By capping I-35, the 30 acres of land currently under its frontage roads could be opened up for mixed-use development as part of a tax increment financing (TIF) district," it says. "The potential valuation from this land is an estimated $10 billion, which would increase the tax base for local jurisdictions by millions of dollars." This dreamy idea does come with negatives, which the report tries to address. 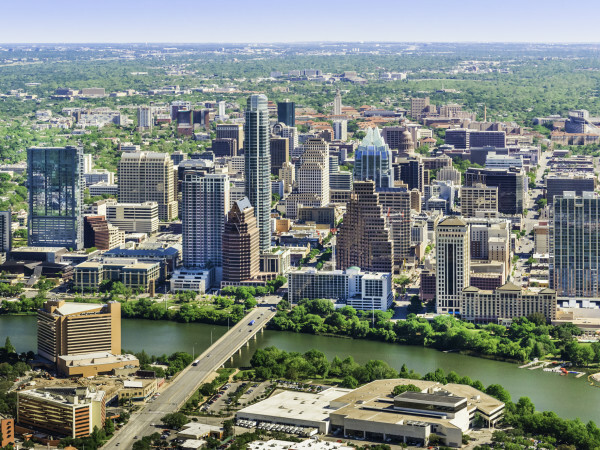 As Austin continues to grow, this area would undoubtedly become hot real estate, thus potentially displacing the same people that should be benefitting from the city's reunification. "Reconnect Austin acknowledges that the removal of I-35 also has the potential to accelerate gentrification and displacement, as the area becomes more economically robust and aesthetically attractive, potentially leading to soaring land values," says the report. "Having a plan in place to protect against displacement is a high priority." The plan is thin, however, and include a suggestion for public spaces "designed with sensitivity to the dynamic cultures of East Austin." 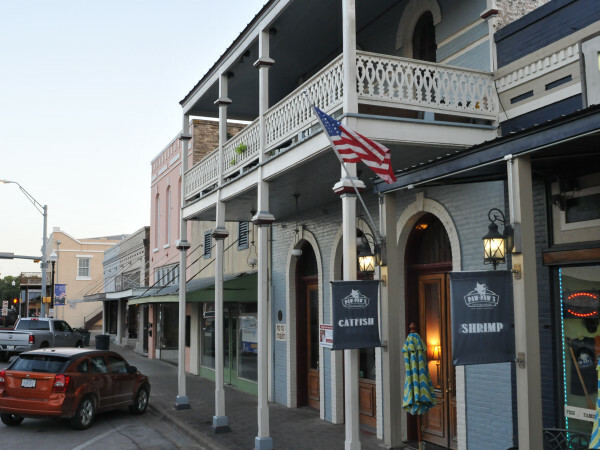 Public spaces are nice, but the idea seems frankly laughable considering the city's median home price over the past decade has almost doubled from $188,000 in February 2009 to $360,000 in February 2019, according to the Austin Board of Realtors. The report notes that while TxDOT is about to embark on a $8.1 billion renovation of I-35, reconstructing 66 miles in and around Austin, that doesn't include the capping through downtown, which is estimated to cost $300 million. "Local support — from neighborhood groups, civic organizations, boards and commissions, city council, the Chamber of Commerce, and the Downtown Austin Alliance — in conjunction with TxDOT’s planned renovation, makes for an ideal, once-in-a-generation opportunity to reshape downtown Austin by capping I-35," the report urges. Joining Austin, Dallas, and New Orleans among this year's Freeways with No Futures is I-5 in Portland, Oregon; I-980 in Oakland; I-70 in Denver; Kensington and Scajaquada expressways in Buffalo, New York; I-81 in Syracuse, New York; I-64 in Louisville; and I-275 in Tampa, Florida.